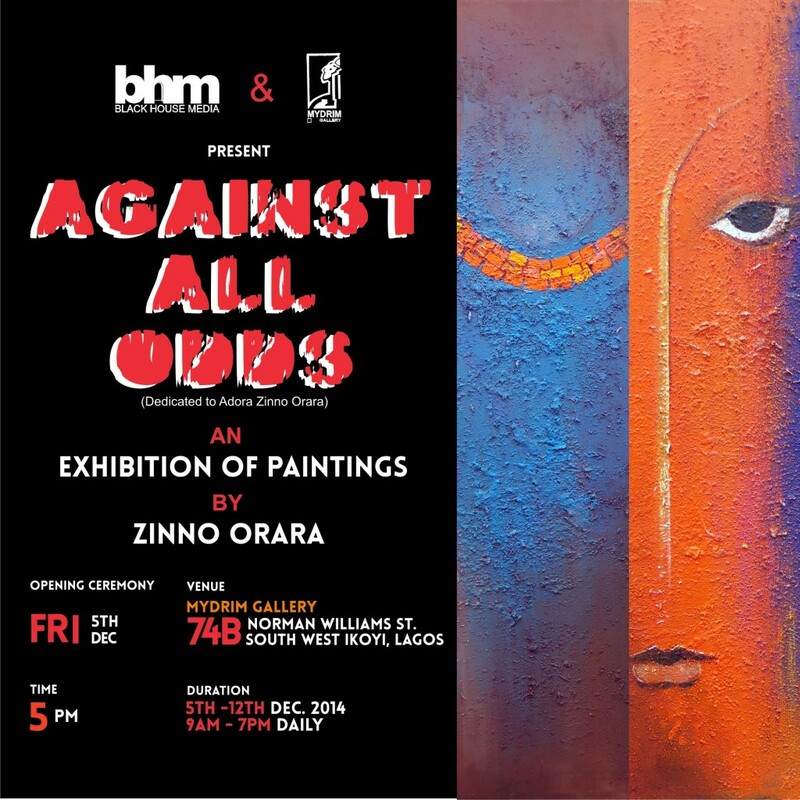 Blackhouse Media and Mydream gallery today announced a one of a kind art exhibition titled Against All Odds. The exhibition will be showcasing the works of one of Nigeria’s most celebrated painters, Zinno Orara, in dedication to his Wife, Adaora-Zinno Orara, who is battling breast cancer against all odds. Billed to take place from Friday 5 – Friday 12 December 2014 at Mydrim Gallery, 74B Norman Williams St. South West Ikoyi Lagos, the art exhibition promises to be one of the classiest the country has ever seen. Born in 1965 in Benin City, the Artist Zinno Orara attended Government College, Ughelli and The school of Arts and Design, Auchi. He graduated in 1988 with a Distinction in Painting and Illustration. He also holds a masters degree in Philosophy. With over 12 solo exhibitions and 25 group exhibitions in Nigeria, South Africa, Sweden, Spain, United States and Canada, Zinno Orara’s paintings are present in art galleries all over the world; as well as with some of the world’s most dedicated collectors. The artist’s wife of 20 years was diagnosed with cancer in stage 7, in 2010. 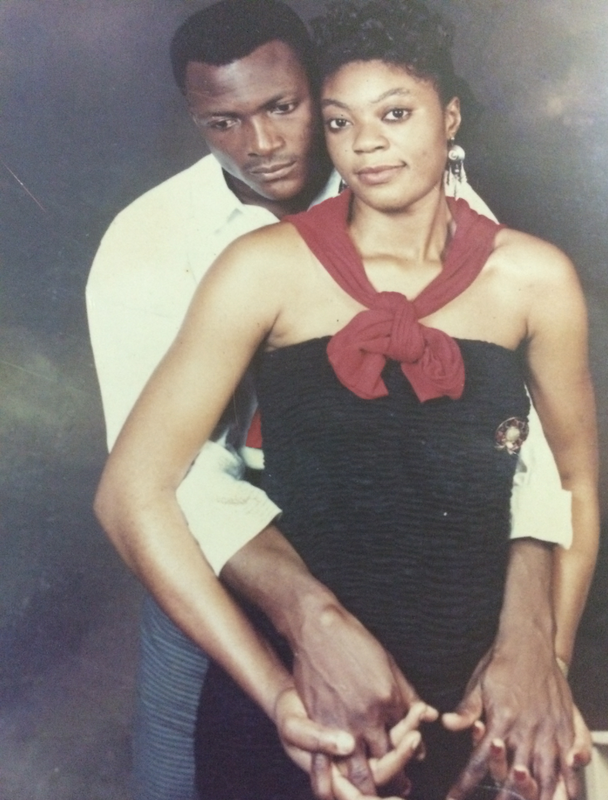 The couple is blessed with 4 children, 2 boys and 2 girls: Majiri, Chidera, Kesena and Princess. Cancer is a deadly scourge that is gradually eating away the world’s population. It is the leading cause of death among women worldwide. According to statistics from www.who.int, 508,000 women worldwide died of breast cancer in 2011 alone. Ayeni concludes: ‘This exhibition is more than just an art showcase, it is in honor of Mrs. Adaora-zinno Orara – the most beautiful woman in the world – and every other person out there who is fighting the up-hill battle against cancer, against all odds.